ATLANTA, GA – The Atlanta Hawks Basketball Club has named Josh Longstaff as Head Coach of the Erie BayHawks, the organization’s NBA G League affiliate, it was announced today by BayHawks General Manager Malik Rose. 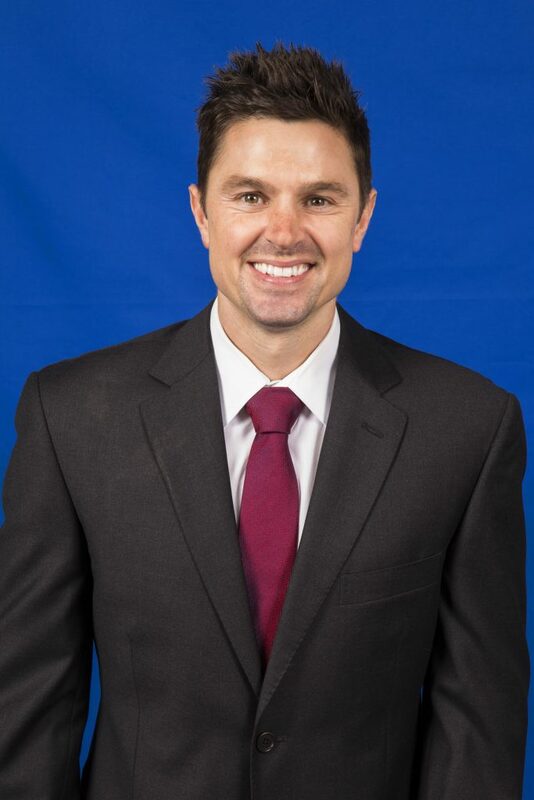 Longstaff, 34, spent the last three seasons as an assistant coach with the New York Knicks after beginning his NBA coaching career with the Oklahoma City Thunder (2010-14), first serving as Player Personnel and Video Coordinator for one year before being promoted to Video Analyst and Player Development Coach. While a member of the Thunder staff, he helped Oklahoma City to four straight playoff appearances, including the 2011-12 Western Conference title as well as two conference finals appearances. A native of Portland, Maine, Longstaff was a four-year letterman at Bryant University in Rhode Island, graduating in 2005 with a degree in marketing. Following graduation, he coached high school basketball in his home state for five years. With a bold identity and strong new ownership, the Atlanta Hawks Basketball Club and Philips Arena remain committed to making Atlantans proud on the court and off. The 2014-15 Southeast Division Champions, the Hawks have made the postseason in 10 consecutive seasons and reached the Eastern Conference Finals for the first time in franchise history in 2015. Off the court, the organization has built a culture of inclusion, diversity and innovation, all with a touch of Southern Hospitality. It continues into the community where the organization builds bridges through basketball, whether by constructing and refurbishing courts in Atlanta neighborhoods, providing scholarships to our basketball camps, or surprising and delighting our fans with unique Atlanta Hawks experiences. Atlanta Hawks Membership, which includes your seat for every home game for the 2017-18 regular season games, is on sale now at www.hawks.com/membership or by calling 866-715-1500! For more information on the Hawks, log on to www.hawks.com today or follow us on twitter @ATLHawks.